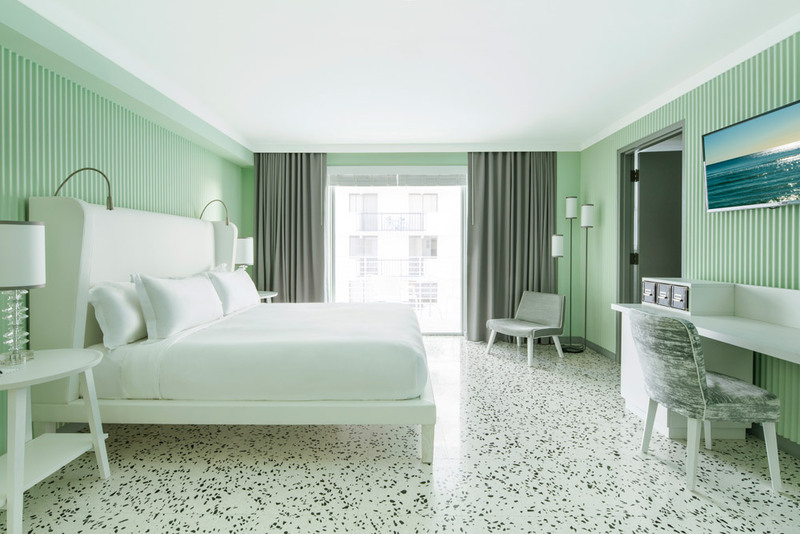 Providing a chic setting overlooking one of the world's most famous beaches, COMO Metropolitan Miami Beach is a luxury boutique hotel in the heart of the historic district. Set along the beach, the property offers an urban retreat with modern guest rooms and suites infused with art deco styling, playful tones of pink and green, geometric silhouettes, marble, and chrome accents, plus the latest in-room technology and large windows offering natural sunlight. 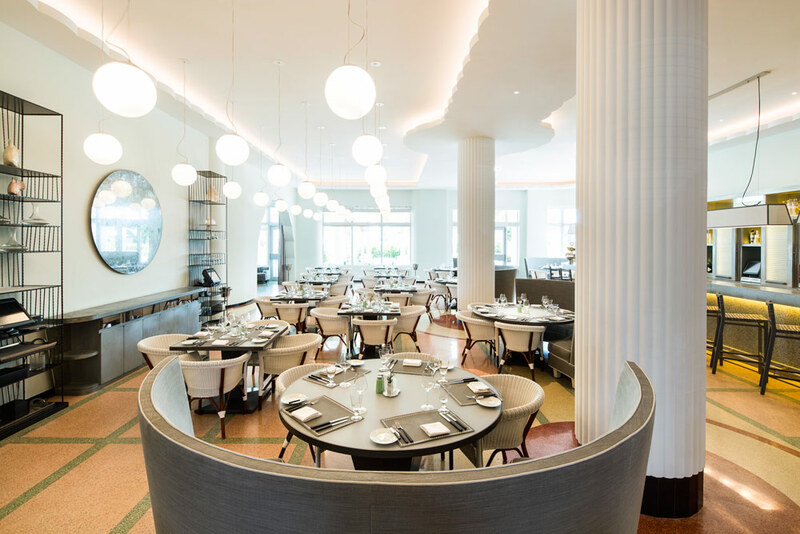 For dining, Traymore serves a modern menu with classic Floridian seafood dishes and American favorites created by Chef de Cuisine Juan Loaisiga. During breakfast the restaurant offers homemade juices, pastries, and healthy choices. At night, the restaurant transforms into a vibrant setting that spills from the lobby onto the terrace. Continue reading below the photo. The adjacent Traymore Gin Bar has a bright and contemporary space with more than 30 artisanal gins and signature cocktails. There's also poolside dining and cocktails, and the COMO Shambhala Cuisine concept provides guests with healthy menu options prepared using fresh Floridian ingredients from the land and sea. Featuring a relaxing and rejuvenating setting in the heart of Miami Beach, the property's COMO Shambhala Concept features a holistic wellness experience with an energizing dining and juice menu, spa treatments, and wellness area. Continue reading below the Hydrotherapy pool photo. 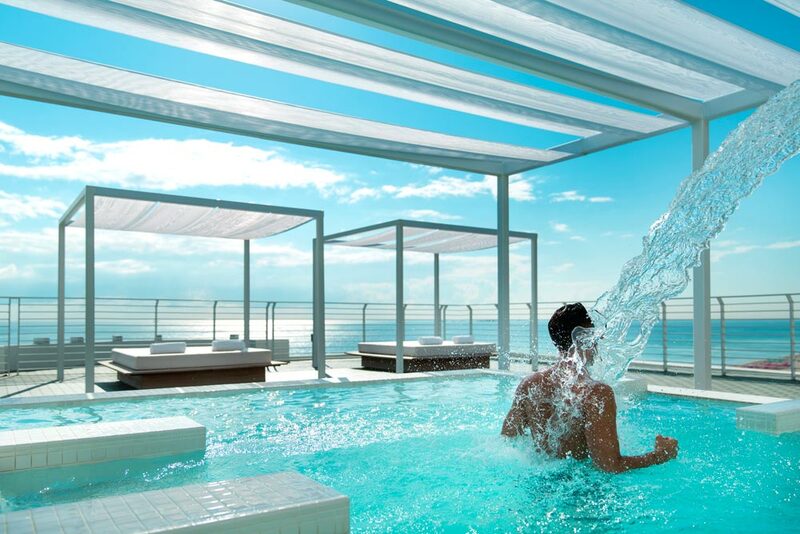 Set on the eighth floor of the hotel, the wellness facilities offer an urban retreat-like setting with an outdoor rooftop Hydrotherapy pool, relaxation terrace, four treatment rooms, state-of-the-art fitness center on the roof, co-ed steam room, and experience showers.